Mane-tenance program. Cleanse to prevent hair loss. Step 1) Anti-Aging Hair Care. PREVENT. This cutting-edge shampoo is the first line of defense to protect your mane, anticipating future fallout to stop hair loss before it begins. Scientifically proven formula improves hair volume and texture by nourishing a healthy scalp with antioxidant-rich mangosteen (a tropical super-fruit with astringent and anti-inflammatory properties) and botanical extracts. Strengthens hair to boost elasticity and prevent breakage. Massage over the scalp to preserve the hair that you have while maintaining scalp health. 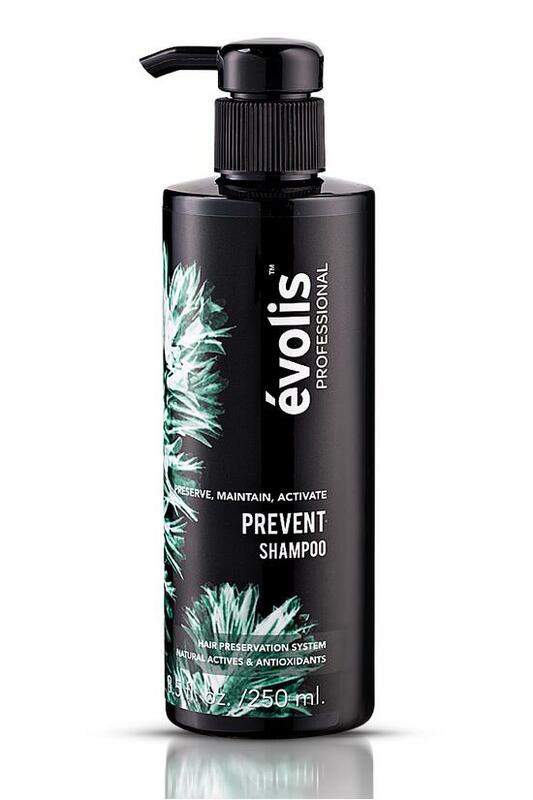 Follow with PREVENT Conditioner and Activator for full protection benefits.